Abstract: Silicon photonics offers the potential for a major advance in the functionality and cost effectiveness of integrating both optics and electronics on the same integrated Si chip. Si "wires" are the ultimate scaled-down version of this technology; their single-mode design has a cross-section less than 0.1 square micrometers for well confined single mode operation. In this talk we will motivate this new technology by discussing emerging applications. We will also discuss major new advances, at Columbia and with our collaborators at IBM, in using this technology to realize nonlinear fiber o! ptical functionality on a single chip. Biography: Richard M. Osgood, Jr. joined the Columbia University in 1981 and became Higgins Professor of Electrical Engineering and Applied Physics in 1988. Professor Osgood was, with Prof. Yang, a co-founder of the Columbia Microelectronics Sciences Laboratories (MSL), and has served as Director or Co-Director of MSL and the Columbia Radiation Laboratory (CRL). He is a member of the ACS, MRS and a fellow of the IEEE and OSA. 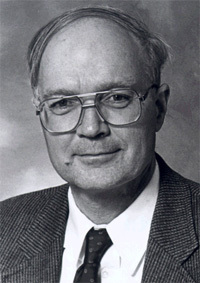 He was Co-Editor of Applied Physics (1983-1995) and Associate Editor of the IEEE Journal of Quantum Electronics (1981-1988). Professor Osgood serves as a consultant to numerous research institutions and government agencies including MIT Lincoln Laboratory. He is also on the ARPA Defense Sciences Research Council (Materials Research Council) and the Los Alamos National Laboratory Visiting Advisory Board (Chemical Sciences and Technology Division). Prof. Osgood has served as Councilor of the Materials Research Society and as a member of the DOE Basic Energy Sciences Advisory Committee. In 1991, Dr. Osgood received the R.W. Wood Award from the Optical Society of America and was invited to deliver the OIDTA lecture at the Japanese Optical Association.